Before you venture out onto the waters for your guided fishing charter trip, a few tips are worth noting, for you and the crew to have a fun, safe time! This one may seem obvious, but you’d be surprised how often it isn’t paid attention to. Make sure you and your party listen to the captain and other crew members and follow the directions to the best of your ability. They know best when it comes to the Alabama Gulf waters! Regardless of your experience on the waters, there’s still always the risk that someone will get seasick. As guided fishing charter professionals, we always tell our customers to stop at the pharmacy, and pick up seasick medicine, just in case. Let’s just say this: it’s better to have it, then not have it! Finally, do not forget that guided fishing charters mean that you’ll be out in the sun for hours at a time. So, come ready: apply the proper sunscreen beforehand, and wear appropriate apparel to combat any possible heat exhaustion. However, don’t worry too much, because we’ll have plenty of space to escape from the sun when you need to! 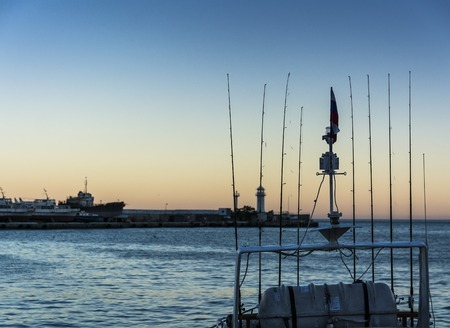 With these fishing safety tips in mind, you and your party will be ready to come aboard the Triple Trouble. We look forward to hitting the waters together! Call Capt. Chad at 256-431-5767 to learn more about booking a fishing charter trip today!